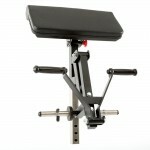 A bench press that is not only multi functional but of the highest quality. 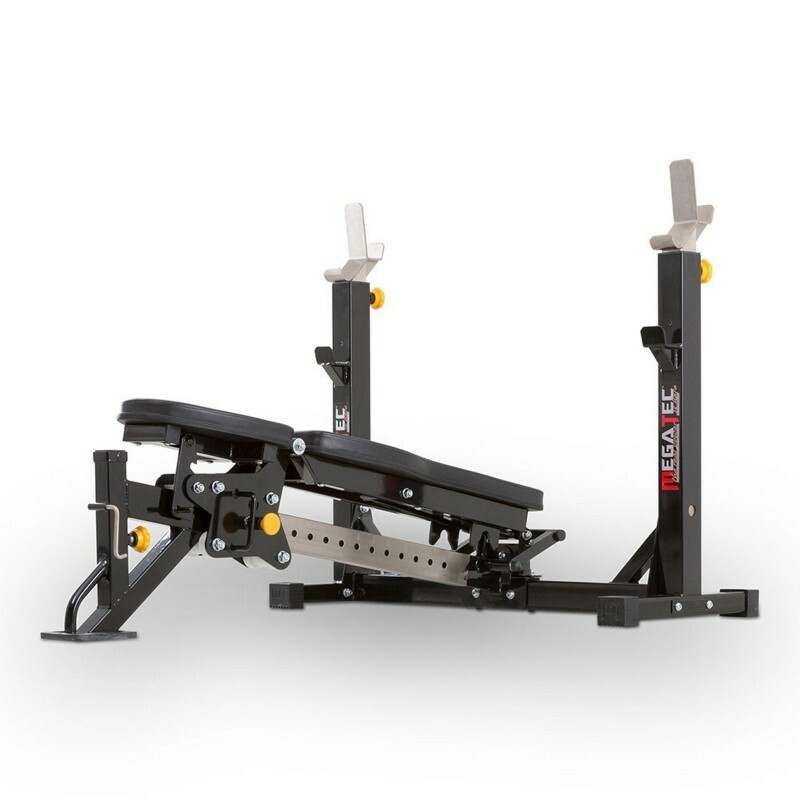 The Megatec Bench Press offers the decline through to upright bench positions, along with the ability to accept the Barbarian bench attachments. 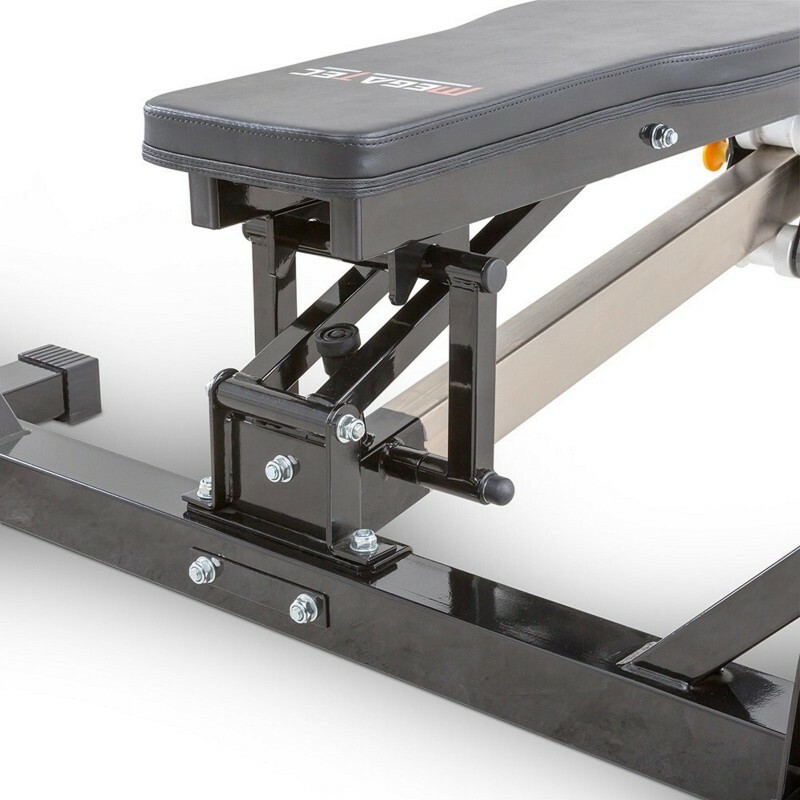 The Megatec Olympic Bench Press is the ideal solution for your home gym or studio if you are looking to pack plenty of functionality into a small space. 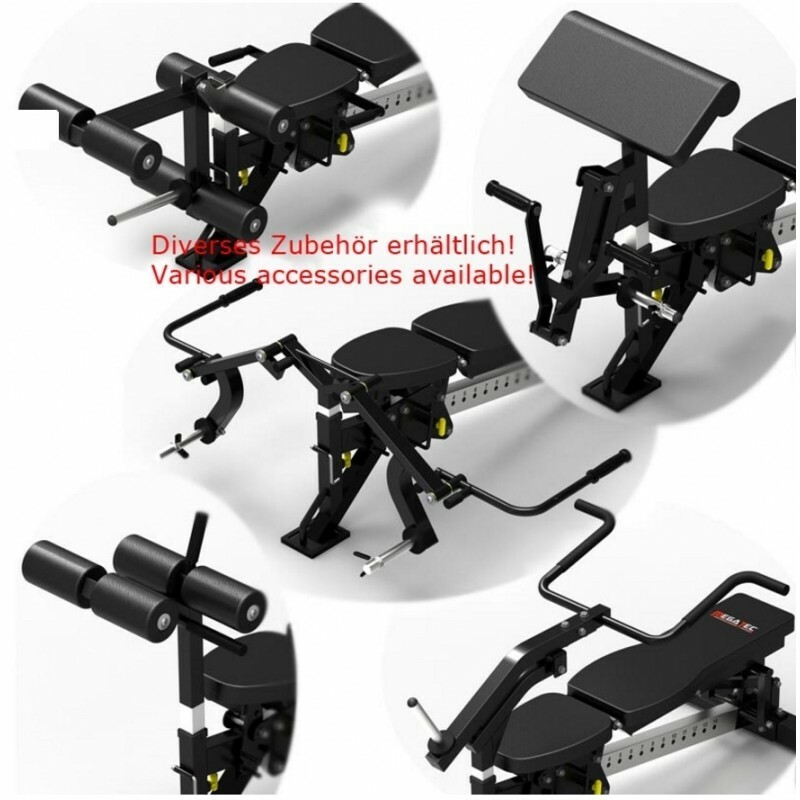 Offering a lot more than just a flat bench press, with the list of optional attachments, it is a complete gym! 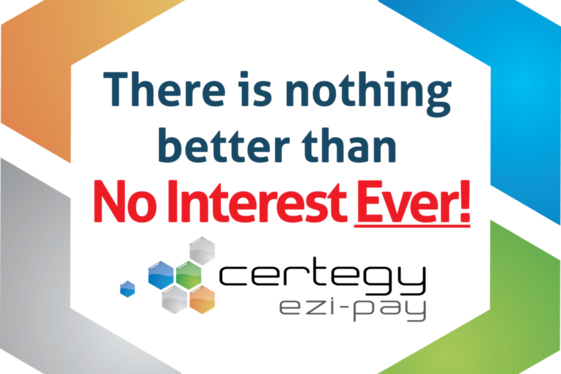 Designed in Germany - Superior design will give you more features and functionality than the competition. 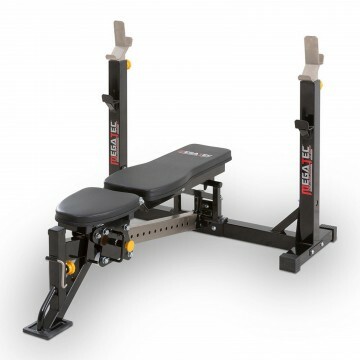 Ideal bench press for home gym or studio with space constraints. Solid construction - Uprights made from 75mm x 75mm steel with bracing for added support. 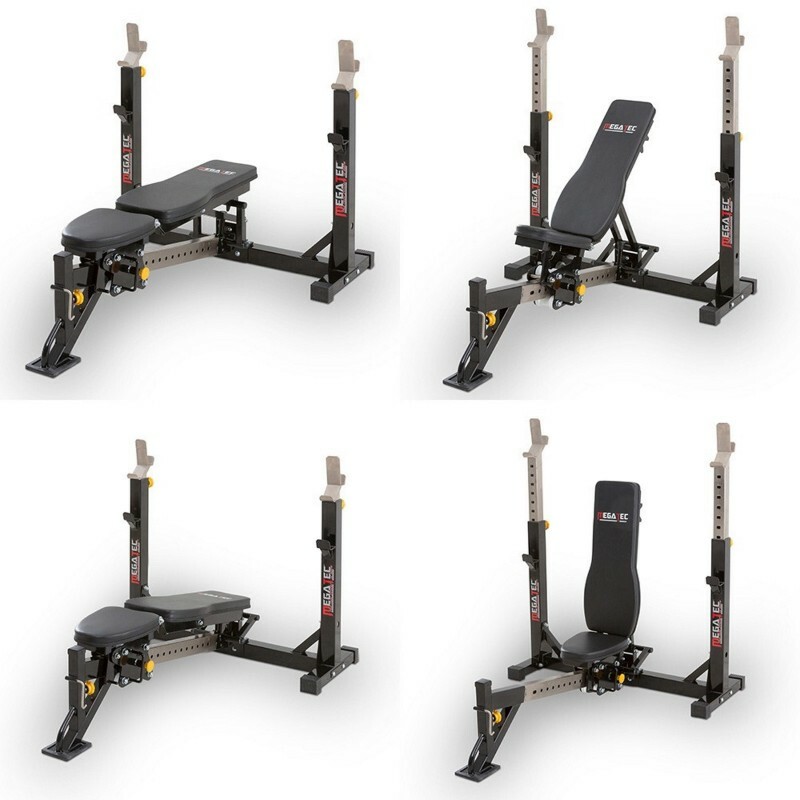 Adjustable bench - Flat, incline, decline and shoulder press. 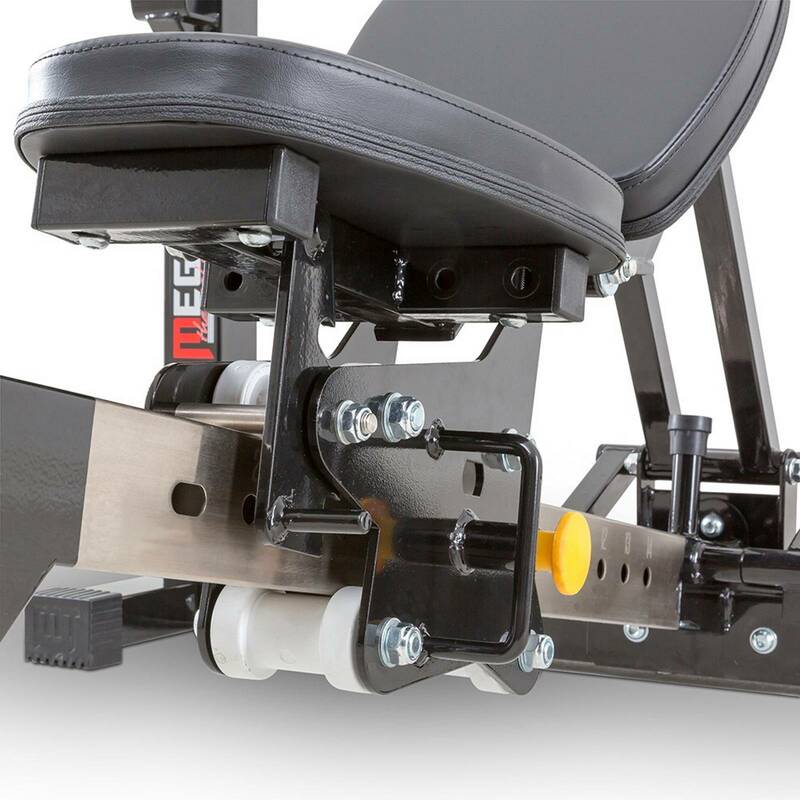 15 different backrest angles in total. Uprights have 14 height positions, spaced 50mm apart, allowing you to get in the correct position for each exercise. Double sided barbell supports. Rear supports can be used for squats. 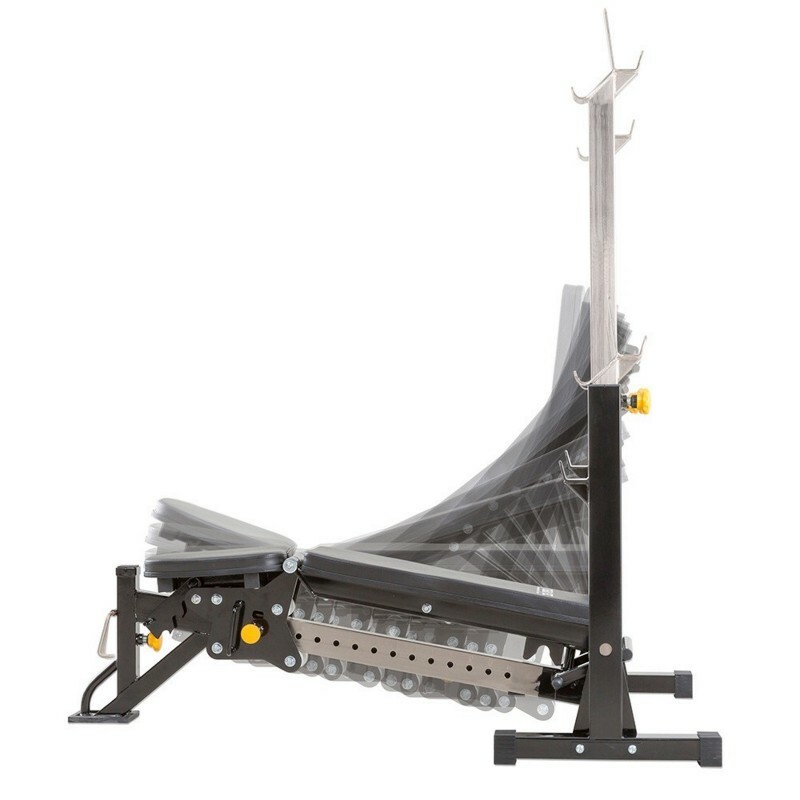 Roller Adjustment System (RAS), used on many Megatec products, moves the bench backward and forward. 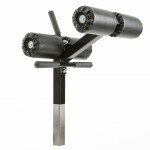 This gets you into the right position under the barbell supports for optimal racking and re-racking. 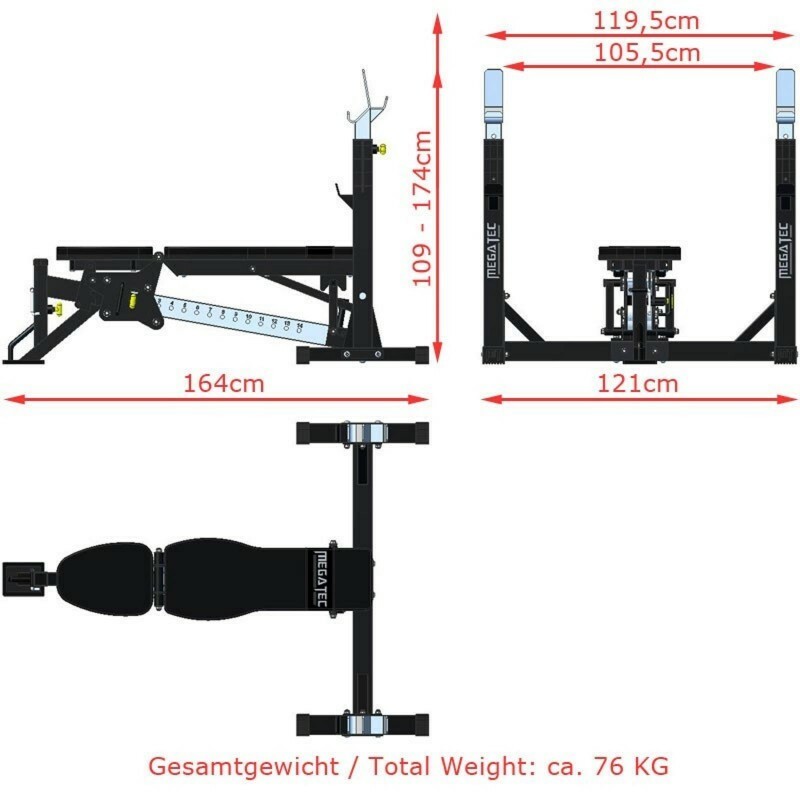 Heavy Duty - Barbell supports = 300kgs, Bench = 400kgs. 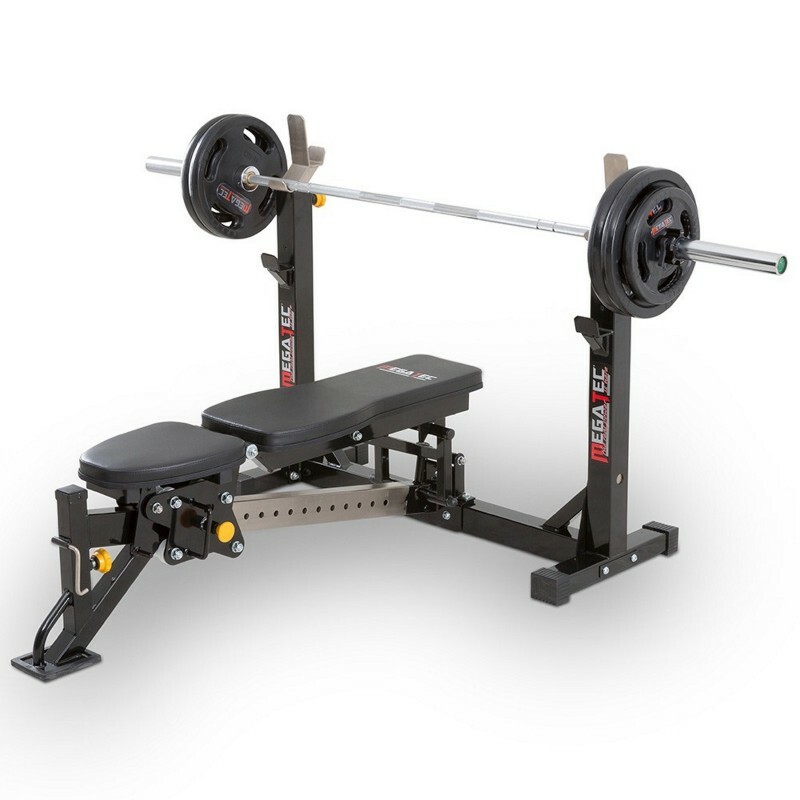 The Barbarian/Megatec bench attachments, which are sold separately, can be used on this bench press, turning it into a complete home gym. 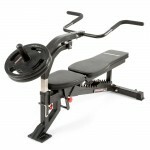 If you are in the market for a bench press, don't waste your time on something cheap or flimsy. 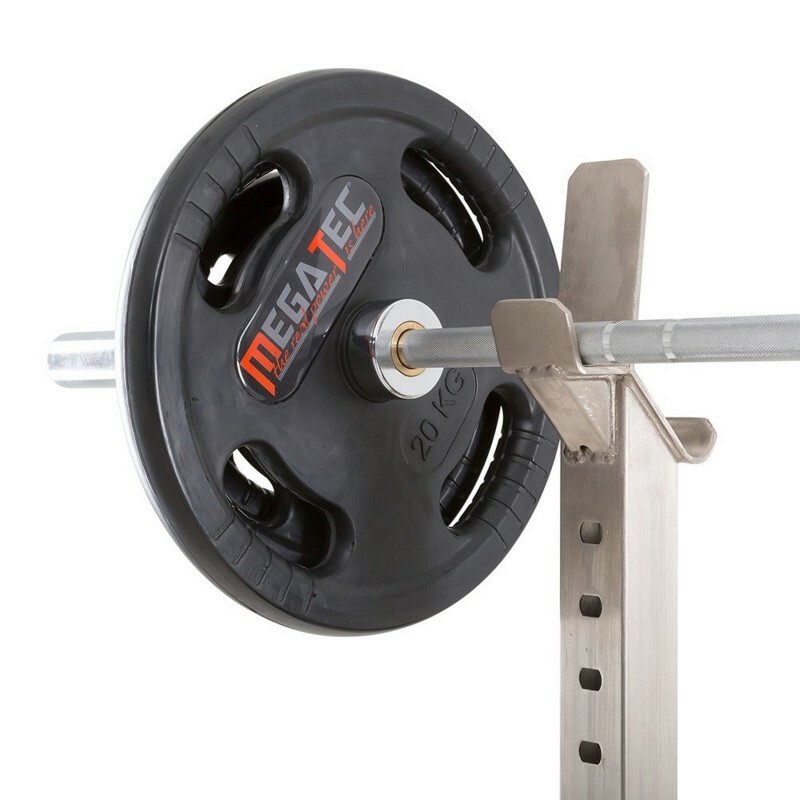 The Megatec Olympic bench will cost more initially, but will give you a quality training experience in the long term. 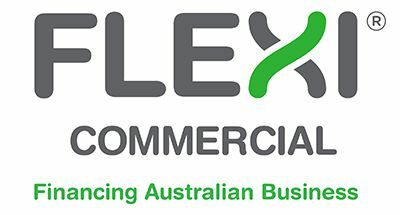 The Roller Adjustment System lets you move from decline bench press all the way through to shoulder press with incredible ease. You just release the pull pin, grab the handle and move it to the correct position. But what really sets it apart is the stability. Others may try, but they can't match the German engineering. In the flat bench press position, it has an additional support bracket that flips up. The uprights have dual barbell catches. One side for all your pressing needs. 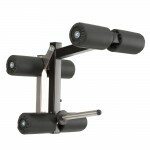 At the back, you can use it as a barbell rack for military press, or you can even get under it for squats. 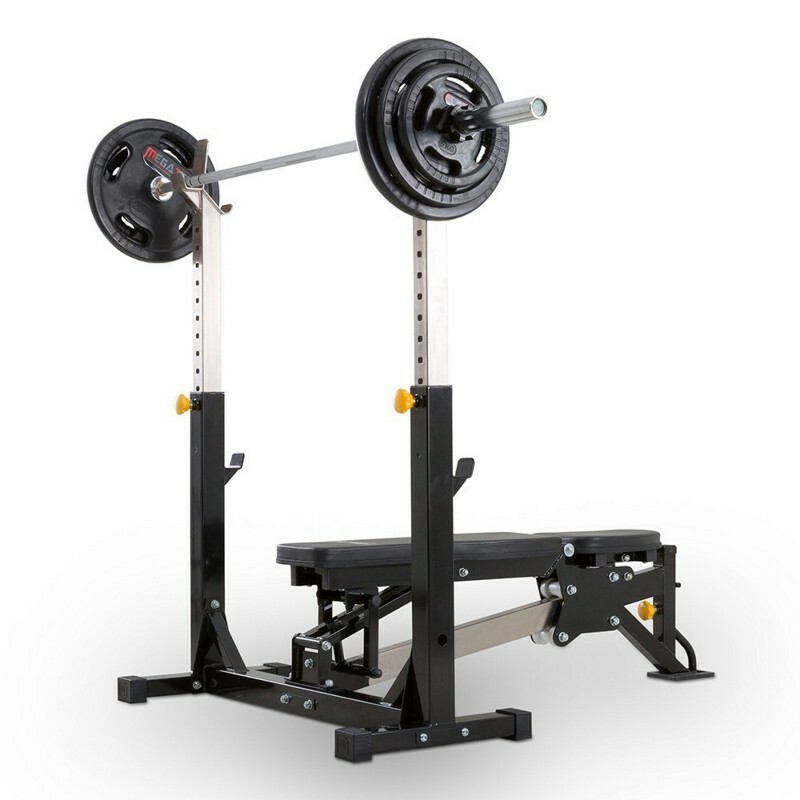 Lastly, the bench accepts the optional attachments for leg extensions/leg curls, preacher curls and pec flys. Normally I would advise against getting a bench press in a normal home gym environment. You are limited to just one exercise - flat bench press - which really is not the best utilisation of space. But the Megatec Olympic bench packs so much more variety into the same footprint. 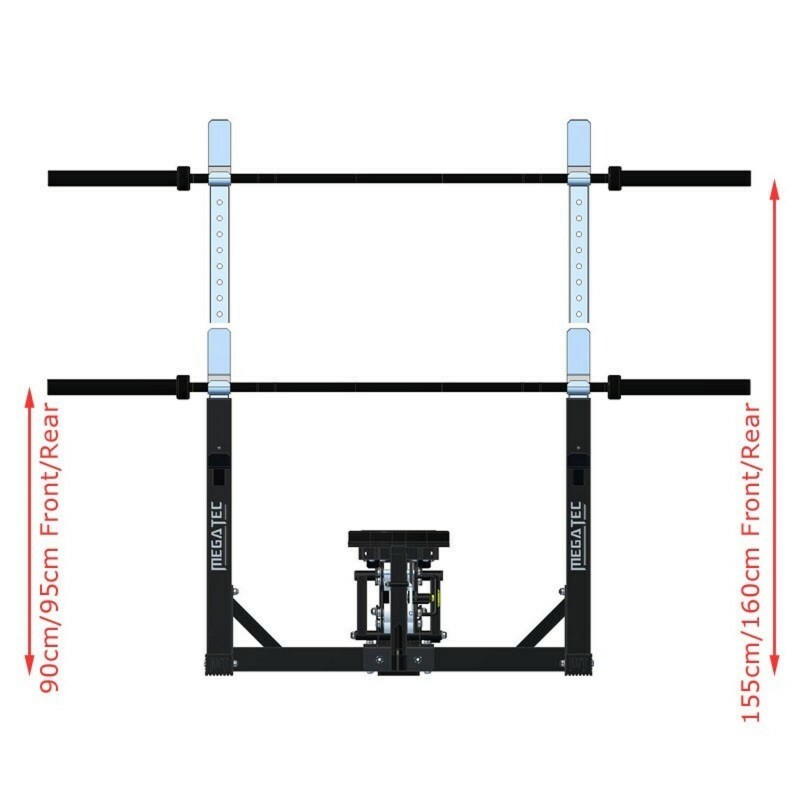 It can become your complete home gym! 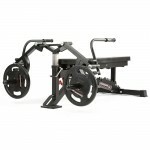 Note: Barbell and weights are sold separately.